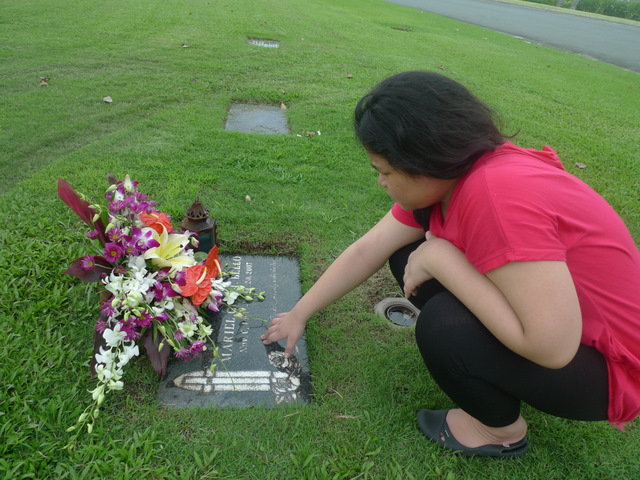 It’s been four years today since you left us for God’s garden. I know you never like me keeping count but how can I not when part of my broken heart had left with with you on that day. It’s also not been easy these past years, but I know that you’ve watched over us through our long journey. I have often whined about it not being fair that you had to leave me so helpless, completely torn and all alone. Until I had begun to realize that in fact you have left me with the best and biggest part of you– our beautiful daughter, Sam. She is grown now Mommy. And I could not believe how much she has become to be the strong and loving person that you were until I finally left for Thailand last week. Of course we had said our goodbyes and good wishes together with you at Heritage, but it was only after I had sobbed shamelessly at the airport on this trip that I had truly caught on that Sam has indeed in many ways taken over where you had left off. For just like you, she had calmed me even through her own pain. That I have nothing to fear, that everything will eventually be all right. She always starts our conversations with asking if I am okay. Like you were, she is strong- willed and ever caring. Through all these, I had also tried to think of a fitting way to mark this important day in our lives. But being so far away in Phuket has left me incapable of even “kissing the ground where you lay”. I remember too that in the not too distant past, I had held your hand, kissed your lips, and promised to love you and to hold you at Promthep Cape under a tree. 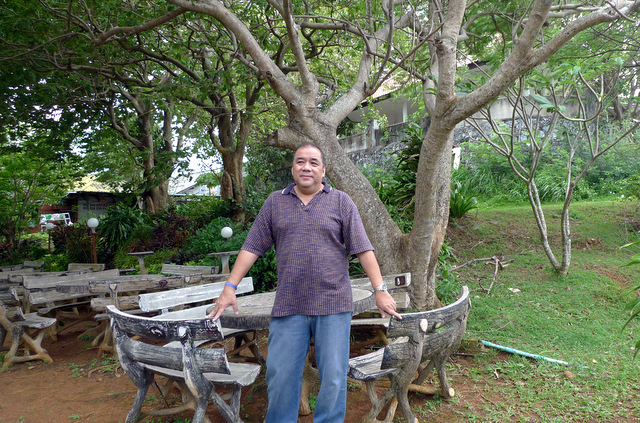 So today I return to sit under the same Pagoda tree, near Rawai to remember and thank you for having shared your life. And to once again say, that I truly love you and will hold you forever always. I love you Mommy. You will forever be in our hearts, as a part of us will forever be with yours too. Please continue to watch over our daughter until the day that our family can again be together forever in our heavenly home, in the most beautiful of highlands.